?How common are fatal motorcycle accidents in Iowa? Between 2008 and 2016, over 41,000 motorcyclists were killed in traffic accidents and more than 1 million went to the emergency room for non-fatal injuries, according to statistics compiled by the Centers for Disease Control and Prevention. While some of these accidents can be attributed to poor driving skills, weather-related factors, or the negligence of other drivers on the road, others can be attributed to motorcycle defects, for which a manufacturer might be liable. 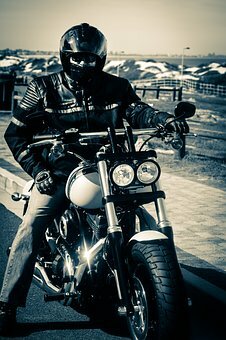 Injured bikers can hold negligent manufacturers who knew of a defect, or should have known about it, liable for their injuries, but some claims may be based on strict liability. Strict liability holds manufacturers liable for injuries that their products cause: claimants do not have to demonstrate negligence. Malfunctioning brake pads, leading to brake failure. Defective tires that cause blowouts. Engine failure, resulting in sudden stalls. In order to successfully prove your case and receive a settlement for your injuries, you’ll need to present adequate evidence. A claimant can work with an attorney to build their case, collect evidence, and present it to the courts in such a way that demonstrates the manufacturer’s liability. The actual defective parts of the bike. Expert witness testimony from mechanics, accident reconstructionists, or parts specialists. If you’ve been injured because of your bike’s malfunction, the first thing you’ll want to do is contact a local attorney. There’ll be paperwork to draw up, a period of discovery, and evidence to collect. You and your attorney can discuss the facts of the case, calculate your damages, construct the case to demonstrate the manufacturer’s fault, and then push for the best possible outcome. You’ll also find a lot of helpful information on filing a motorcycle claim in our FREE book, Iowa Consumer’s Guide to Motorcycle Crashes. In it, we discuss how motorcycle laws work in an easy-to-understand format and answer common questions people have when filing a claim. To discuss your case with an attorney, call Walker, Billingsley & Bair in Des Moines for a FREE legal consultation at (888) 435-9886 or contact us online. We can review the specifics of your case, determine if the manufacturer can in fact be held liable, and then help you pursue any compensation to which you’re entitled.